Specifies the distance between the camera and the nearest element that is considered to be acceptably sharp. 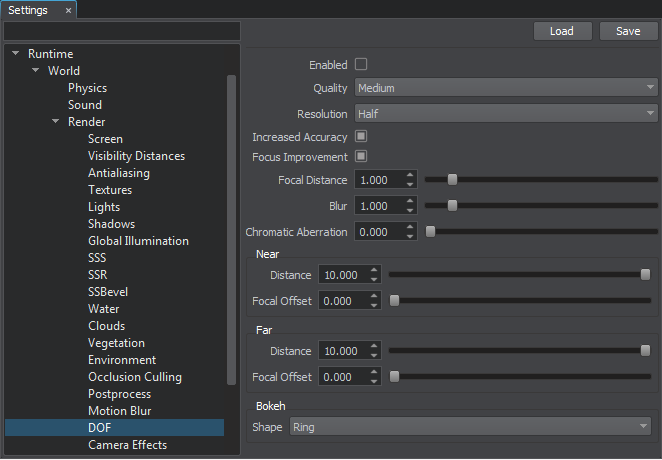 Specifies the offset from the focal point to the nearest blurred zone. Specifies the distance between the camera and the furthest element that is considered to be acceptably sharp. Specifies the offset from the focal point to the furthest blurred zone.